As Centering Healthcare Institute’s CEO, Angie is focused on spreading the Centering model so that all Americans have access to group health care. Since joining CHI in June 2015 she has been paving the way to achieve this goal through her thoughtful leadership, spot-on decisiveness, flexibility and attention to organizational structure. From spending time with practice sites to building relationships with policy makers and leaders in healthcare, Angie is moving CHI towards recognition as the go-to resource for group healthcare. Before joining CHI Angie spent much of her career on Capitol Hill and with national health organizations addressing healthcare disparities and turning grassroots efforts into national movements for change. Jacquie oversees the daily operations of the Centering Healthcare Institute including managing and allocating human, financial, and technological resources. Jacquie brings over 20 years of expertise in organizational development, grant making, strategic planning, program development, program management, community organizing and health advocacy. Her past work also includes support for and strengthening of families through individual and group processes. As a Practice Services Manager, Amelia helps practices in the northeast region of the United States assess their readiness to start Centering and provides technical assistance during implementation. 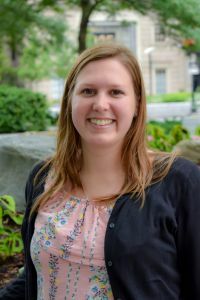 Prior to joining CHI, Amelia worked with Partners In Health as a Project Manager, focusing on developing an undergraduate medical education program and nurse trainings with the University of Global Health Equity in Rwanda. She also worked with PIH in Liberia, supporting the development of the new country site. Amelia is passionate about health equity and is excited to support the implementation of a model of care that addresses complex social determinants of health. Amelia loves spending time with her family and exploring new places! Marena joined the CHI team in 2015, after enjoying the challenge and spirit of working at two progressive healthcare start-ups. She oversees the development of Centering products, services and training, and guides the marketing and communication initiatives. 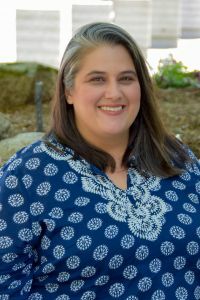 Her work includes developing the CenteringParenting and CenteringHealthcare frameworks to support clinicians in applying the model across the life course. Prior to joining CHI Marena was the Engagement Manager for a large Integrative Medicine practice and the Early Parenting Program Manager for an innovative service/health education program serving families in the Boston, Atlanta and Dallas areas. She has extensive experience in program design and management, group facilitation and cross-functional team leadership. 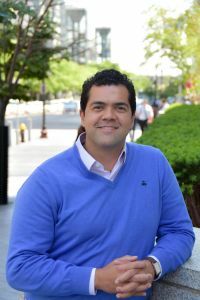 As Senior Director of Strategy & Partnerships, John is leading the growth and expansion of Centering practices across all six of CHI’s U.S. regions through local and national initiatives. He manages a team of Regional Directors and State Program Managers in key geographic target areas and is responsible for stakeholder development throughout the nation. An avid fly fisherman, in his off time, he can be found knee deep in local streams coaxing trout onto the end of his line. Mary Fitzmaurice recently joined CHI as Regional Director. She is driving the expansion of the Centering model to healthcare practices in four of our regions: the Northeast and Southeast, the Great Plains and the West. She is providing exceptional customer service and engagement with key regional stakeholders in the provider and payer communities. Jon is the IT/Data Manager at CHI. 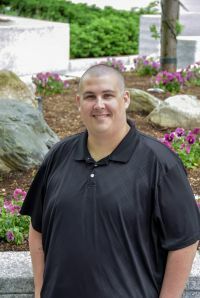 He has over 10 years of experience in the Information Technology field and has spent the majority of his career managing ERP and CRM applications. Jon enjoys spending time with his wife and daughter and claims to have never lost a staring contest. 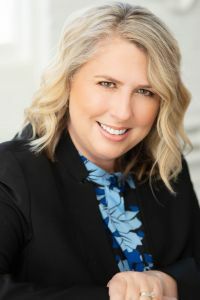 Daphne Mazuz is the Practice Services Manager who manages the client relationship through its lifecycle and is the primary point of contact for all Centering practice sites within the Western and Southeastern U.S. regions. She provides regular outreach and support to ensure that sites are reaching their goals. 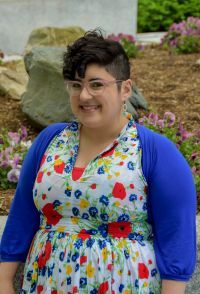 She is passionate about health equity, eradicating health-related stigma and is excited by the possibilities of systems change within healthcare. As Director of Practice Services & Support, Shannon is responsible for overseeing the delivery of CHI’s implementation, training and support services to CHI’s partner practices across the U.S. She manages all of the CHI consultants in the field and the practice services team in Boston. Before joining CHI, Shannon taught first-grade, co-facilitated CenteringPregnancy groups in NYC, then moved to California to complete her MPH in Maternal and Child Health at UC Berkeley. She loves all outdoor activities, especially those involving snow! As Senior Director of Quality & Special Initiatives, Tanya provides leadership to CHI's grant making initiatives, direction for quality and improvement processes and is leading the charge on data and outcomes management to ensure that Centering continues to surpass the high standards that make it the gold standard for group health care delivery. Before CHI, she was the Manager of Chapter Grants at the March of Dimes for five years. In other lives Tanya has been a hotel manager, world-traveling ultimate frisbee player, DJ, and copy editor for the Hungarian Parliament. Surendra Pokharel joined CHI in 2016 bringing his versatile experience in accounting and finance, encompassing banking, distribution, auditing, financial management, book-keeping, accounting, and compliance services. His positive attitude not only brings warmth to our office but has also resulted in his successful team building, innovative solutions, and the organizational capacity to maintain quality service, even during periods of internal consolidation and rapid business growth. When not in the office, Surendra enjoys meditation, sports and spending time with his family and friends. Margie is the lead consultant at CHI. Centering brings together her varied experiences in counseling, management, lactation, health education, Lamaze, and childbirth education. She loves her seven grandchildren and learning about Anime and Pokémon, as well as building with Legos - just to name a few! Lynn joined CHI as a Centering Consultant in 2007 and recently took on a new position as Director of Innovation. In this new role, she blends the job of a Consultant and CHI Staff. She is responsible for the development of products, services and training tools that support the Centering models. 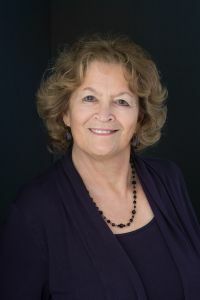 She is a Licensed Clinical Social Worker and Certified Lamaze Childbirth Educator and worked as a Behavioral Health Clinical Manager at Clinica Family Health Services in Denver, CO. Lynn has four grandchildren and loves to make beaded jewelry. Peg Dublin has been involved with Centering since 2005, bringing the model to the Cook County Health and Hospital Services in Chicago. She became a consultant in 2006, based in Chicago. She loves to be outdoors, riding her bike along Lake Michigan, camping in the wilderness, or hiking in the mountains. Amy received her Masters of Science in Nursing and certificate in midwifery in 1991 from Yale University School of Nursing. 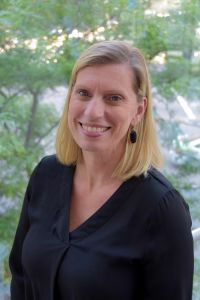 In 1999, Amy established the Duke Midwifery Service, caring for high risk patients and mentoring residents and students from multiple disciplines. She leads a successful CenteringPregnancy practice for English and Spanish-speaking patients at Durham County Health Department. Amy has received numerous awards including the Kaiser Permanente Excellence in Patient Care Award in 1999 and the Duke Friends of Nursing Award for Excellence in Women’s Health and The North Carolina Great 100 Nurses Award in 2011. Amy has been a consultant with Centering Healthcare Institute since 2008. Sunshine's name is fitting for what she brings to CHI. 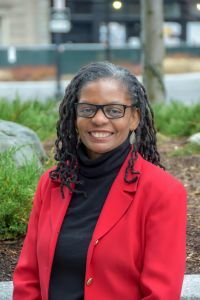 She has used her lived-experience, academic and professional training and passion to design and implement programs for community, university and social service interventions for the last 20 years. 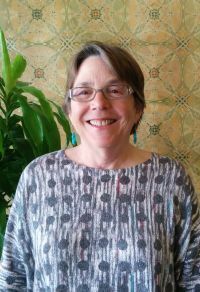 Trained in several modalities and care models including; the Duluth Model for Domestic Violence Accountability, Family Constellation Work, Motivational Interviewing and MyCD: a Stanford University Chronic Disease Self Management Program, she has been facilitating groups, engaged in grassroots marketing and implementing programs since the mid 1990's. A native New Yorker now living in Santa Fe, New Mexico, Sunshine spends her quieter moments soaking, sunning and enjoying the exquisite beauty of the natural world around her. 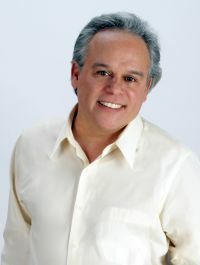 John has been doing organizational development and culture change consulting for over 18 years, particularly in the advertising industry. 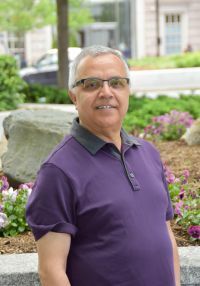 He was deputy director of a healthcare clinic, worked with healthcare industries in advertising, and has been part of culture change teams like the Bridges to Our Future Project, sponsored by Whirlpool Corporation. Through his work with healthcare clients, he became more aware of the impact of healthcare, both on the economy and socially. Joining CHI in 2017 has allowed John to apply his skills to the healthcare industry in a more consistent way. He’s often in awe of the healthcare workers and providers he meets. 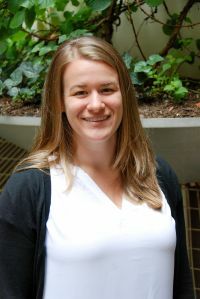 Liz is a public health professional with extensive experience in program management, training, and working with clinic leadership on systems change and population health initiatives. She has an MPH in health behavior and health education and has focused much of her career on intimate partner violence. Liz loves leading workshops and group facilitation. She finds it fun, engaging and exhilarating. She joined CHI in 2017 as a consultant because she is passionate about increasing Centering into our healthcare system. Kathy has been a consultant at CHI since 2002 and assisted in the creation of CenteringParenting. She works full time in Hillsborough, NC as both the lead faculty of the Women’s Health Nurse Practitioner major at Duke University School of Nursing and Senior Nurse Practitioner in the Duke Breast Cancer Program. She enjoys bicycling and has done over a dozen week long bike tours in the United States. Cynthia has been a consultant with CHI since 2006 and was involved in supporting Texas Centering sites through the March of Dimes and a Kellogg grant. She has worked for Baylor College of Medicine, Houston, TX Midwifery Section since 1989, starting CenteringPregnancy November 2005 at Casa de Amigos Harris Health clinic. She loves her church, her husband, reading, swimming, and shopping. Dr. Strickland is an Associate Professor at Wake Forest Department of Family and Community Medicine where she practices the full scope of family medicine including both inpatient and maternity care. She earned a Master’s of Public Heath degree from UNC-Chapel Hill and is an active member of the Society of Teachers of Family Medicine. She has been a long time advocate of Centering, joining the CHI board of directors in 2008. She has experience as a CenteringPregnancy provider and has implemented group visit programs in several residency programs. Locally, Dr. Strickland leads the North Carolina CenteringPregnancy Consortium in partnership with Northwest Community Care Network of Community Care of North Carolina. Sharon Rising is the founder of the Centering model of group healthcare and since 1993 has provided leadership for the development and growth of the organization. 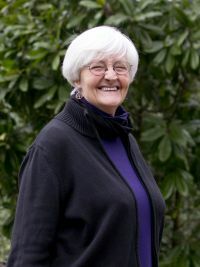 She has received recognition for her achievements from several notable organizations including 2006 Yale University School of Nursing distinguished Alumna Award, Civic Ventures Purpose Prize in 2008, the American Academy of Nursing 2010 "Edge Runner" Award, and the 2010 American College of Nurse-Midwives' highest honor, the Hattie Hemschemeyer Award. In addition to creating the innovative Centering model, Sharon's impressive career ranged from clinical practice to healthcare education. She established the nurse-midwifery program and the Childbearing Childrearing Center at the University of Minnesota. Amy Fine is a Senior Fellow at the Center of the Study of Social Policy. In this role, she helps shape CSSP's approach to integrating health, education, human services and other family supports at the community level, focusing on more preventive, developmentally-oriented service systems for children and families. 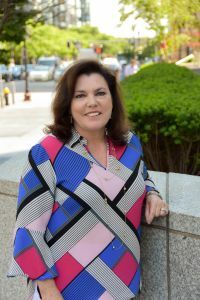 With more than 25 years of experience working on issues related to maternal and child health, Amy has served as a consultant to federal and state health agencies, private philanthropies and national initiatives focused on improving results for children. Dr. Darby-Stewart is an experienced clinician-leader with skills in transformational healthcare redesign, primary care/specialty integration, and medical education. 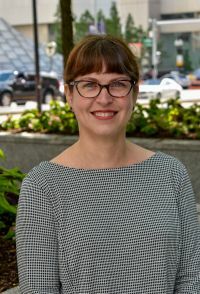 She is currently Associate Program Director at HonorHealth Family Medicine Residency in Scottsdale, Arizona, and recently served as Clinical Department Chair of Family Medicine and Medical Director for Chronic Care TTRIaD at Banner Health. Dr. Darby-Stewart brings a skill for connecting population health management with personalized healthcare to the Centering Healthcare Board. She has a true passion for excellence in patient care and medical education. 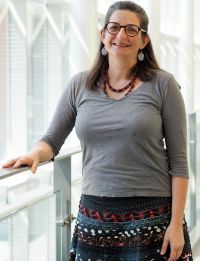 Lanfer, who participated in a CenteringPregnancy group before the birth of her third child, previously served as a strategy consultant for Centering Healthcare Institute. She is a partner at Wellspring Consulting, which provides consulting on strategy, market analysis, business planning and organizational design for the nonprofit sector. Prior to joining Wellspring Consulting, she was a portfolio manager at Strategic Grant Partners, a foundation and pro-bono consulting firm that supported Centering Healthcare Institute’s planning and growth. She received her Master of Environmental Science degree from Yale University and a bachelor’s degree from Dartmouth College. Lanfer was a founding board member of My Sister’s Keeper, an organization that supported Sudanese women through education and advocacy. Dr. McLemore has extensive experience as a nurse trained in public health, an accomplished research scientist, educator and advocate for reproductive health. 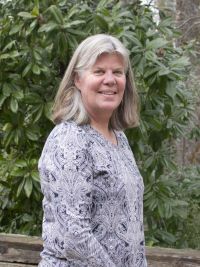 The longtime Centering champion is currently an assistant professor of family health care nursing at the University of California, San Francisco, as well as a member of the Dean’s Research Committee and a per diem staff nurse at San Francisco General Hospital. 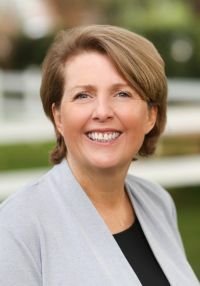 McLemore has held several clinical leadership and nursing positions at organizations including Mercer Medical Center, the Visiting Nurse Association, the Women’s Needs Center, Kaiser Permanente, Stanford Hospital and Clinics, and Planned Parenthood.